Ask fellow campers about "4 Guys RV Park" and nearby attractions. Arrived and found some one to be parked in the pull thru site we had reserved. After going into the office the lady in side checked the reservation and moved us to the site next to the original one. Campground is very clean and neat. The only minor problem we encountered was the fact that the only dumpster was back at the entrance. Park had a nice pool and also a small pond for fishing. Very close to the Natural Bridge state park. The only negative I could find was the lack of shade. When temps hit 90+ and the humidity is at 70%, I would have liked to have more shade than my awning provides. All in all this is a clean and neat campground and close enough to home to make a nice quick get away. I will definitely return. We camped at 4 Guys RV in a travel trailer. We camped at 4 Guys RV Park in a Travel Trailer. Sites are not too crowded. Roads and sites are gravel but, we believe that is because it's very new. They made the gravel on each site wide so you are never in the mud. Nice pool, nice owners, and nice fishing pond. All sites are full hookup! We stayed there during the week and it was extremely quiet in the evening and not noisy during the day either. We would highly recommend this campground. 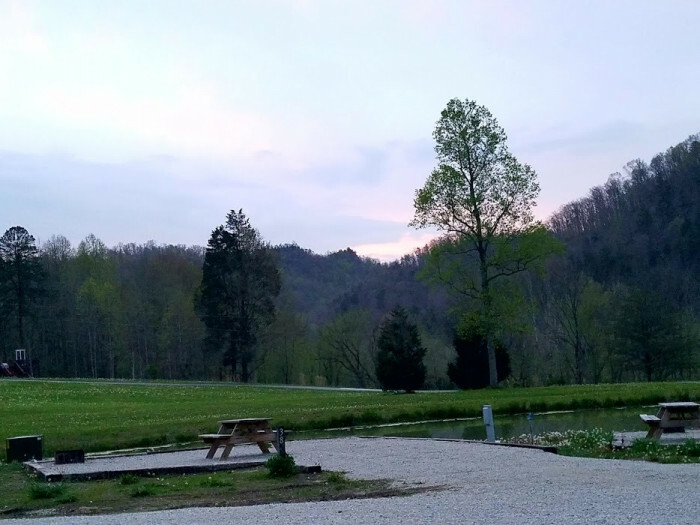 We camped at 4 Guys RV Park in a Travel Trailer. Ask locals for difficulty of trails to choose what is appropriate for you. The nearest small town is Stanton which has grocery stores, pharmacies, etc. We brought an extra shade shelter to extend the shade beyond our canopy since the campground is so new the trees are immature. This park is fairly new and still being improved. 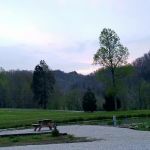 It is in a good location just off the Kentucky Mountain Parkway KY15. It has gravel sites with fire rings and picnic tables. There is a nice pool and private shower/restrooms. Lots of grass around to walk my dog. There is great WiFi; no cable but good DTV satellite and antenna coverage. There is a pond that looks good for fishing. We camped at 4 Guys RV Park in a Motorhome. Are you affiliated with 4 Guys RV Park ?